[Episcopal News Service] A letter to the New York Times this week that was endorsed by hundreds of Episcopal clergywomen raises concerns about comments former U.S. Sen. John Danforth, a Missouri Republican and Episcopal priest, made about the confirmation hearings for President Donald Trump’s latest nominee to the U.S. Supreme Court. The letter, posted to the Times’ website on Sept. 25, was authored by the Rev. Teresa Danieley, a Missouri priest, and was submitted with 327 additional names attached. The clergywomen specifically question Danforth’s defense of Brett Kavanaugh, 53, in the face of allegations the judge sexually assaulted a teenage girl while he was in high school. Danforth, in an email to Episcopal News Service, strongly objected to how the letter described his comments about Kavanaugh. Danieley first learned of Danforth’s defense of Kavanaugh in the Times from a friend in seminary. The Episcopal Church has grappled with its own neglect in addressing sexual harassment. Presiding Bishop Michael Curry and the Rev. 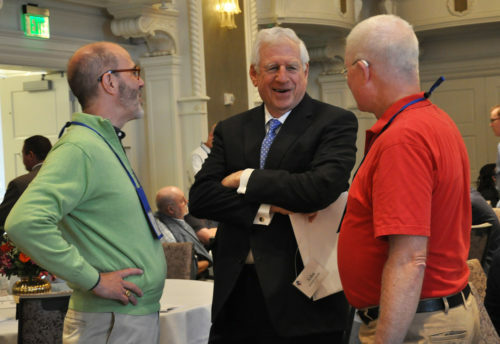 Gay Clark Jennings, president of the House of Deputies, issued a call to the church in January to examine its history of failures to protect victims of harassment, exploitation and abuse. “When facts dictate, we must confess and repent of those times when the church, its ministers or its members have been antagonistic or unresponsive to people – women, children and men – who have been sexually exploited or abused,” Curry and Jennings said in their letter to the church. Kavanaugh, a federal Court of Appeals judge, had appeared headed for confirmation in the Republican-controlled Senate, with supporters describing him as one of the most qualified nominees to be picked for the nation’s highest court. The allegations made by Christine Blasey Ford have thrown the confirmation into question, with two more women coming forward to accuse Kavanaugh of sexual misconduct when he was young. Kavanaugh has denied all the allegations. After talking with Missouri Bishop Wayne Smith about Danforth’s comments, Danieley drafted a letter in response, and a group of female Episcopal clergy offered feedback and helped edit the letter. Danieley said she shared the text of the letter Sept. 22 to two Facebook groups with primarily Episcopal women as members and invited those who agreed with the sentiments to add their names to the letter through a Google Form. She learned later that the letter had been re-shared on a diocesan clergy email list, generating additional support. By the time Danieley submitted the letter to the Times, 328 names were attached. 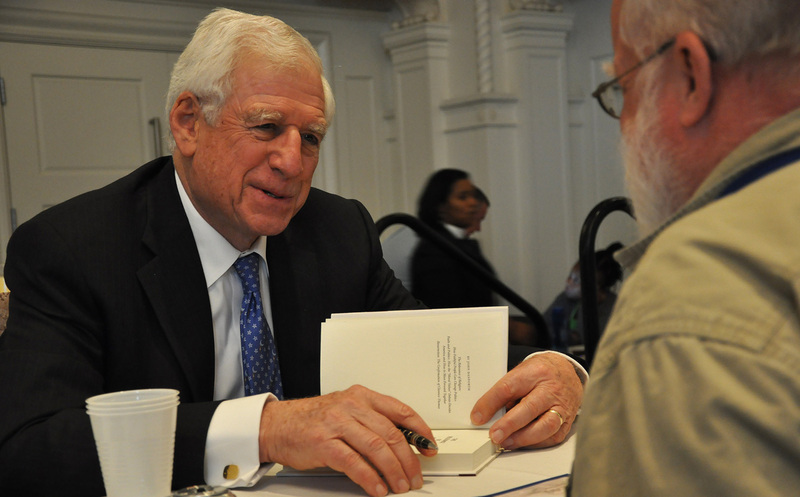 Danforth, a lawyer who is identified as a partner in the Missouri law firm Dowd Bennett, received a Bachelor of Divinity from Yale Divinity School and has written several books about the intersection of faith and politics. He served in the U.S. Senate from 1977 to 1994. Although Danforth’s quotes in the Times don’t directly reference Kavanaugh’s accuser, Danieley said the comments struck her as one-sided. “To me this isn’t an attack on Danforth – I mean, he did make public comments, so it’s legitimate to respond to public comments – but rather reiterates that [clergy] are supposed to be responsive when people come forward with allegations of sexual misconduct,” she said. Taking up that call, the House of Bishops held a “Liturgy of Listening” in Austin, Texas, on July 4 during the 79th General Convention to share stories from victims of sexual misconduct perpetrated by someone in the church, chosen from 40 stories submitted in response to the bishops’ request for reflections. Danforth, in his email to ENS, called Thomas’ 1991 confirmation hearings “perhaps the worst experience of my life.” Helping his “dear friend” get through that period is why he now feels “terribly sorry” for Kavanaugh. He said the problem is in how the Senate confirms Supreme Court nominees. “Something is very wrong,” he said, without elaborating on what is broken. Senate Republicans have scheduled a hearing for Sept. 27 at which Kavanaugh and his accuser, Ford, are scheduled to testify. A committee vote to move the nomination forward could come as soon as the next day, potentially sending Kavanaugh to a full vote in the Senate, where Republicans have a slim two-vote majority.